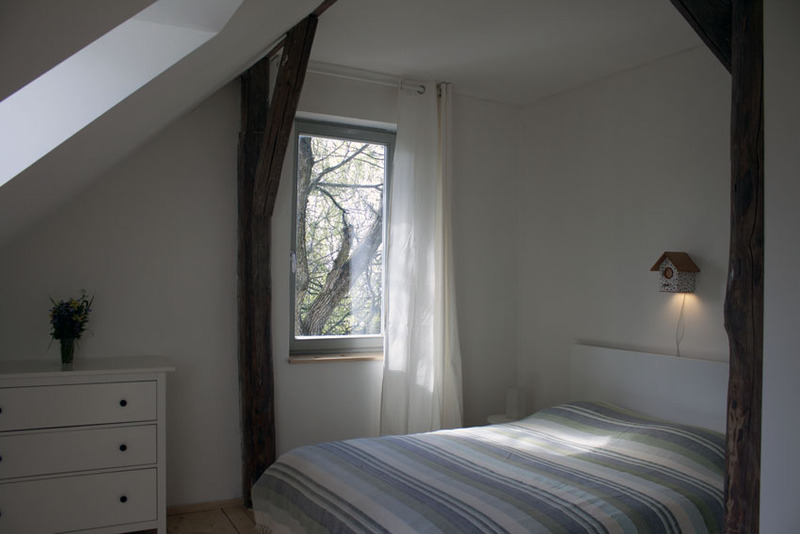 A generous holiday lodge in the heart of White Carpathians surrounded by a fruit tree orchard. 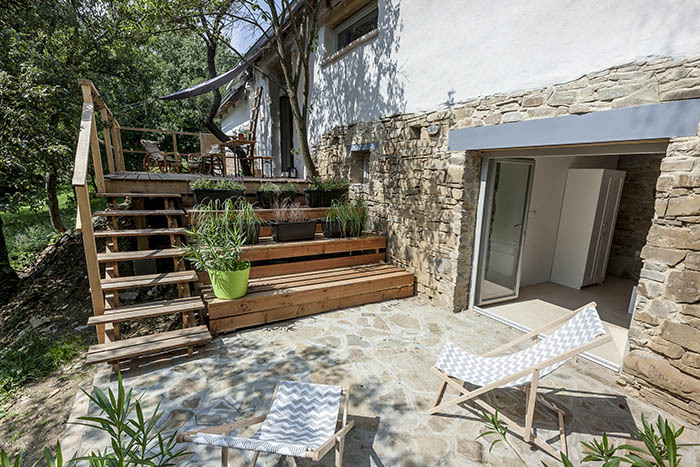 Thanks to its quiet natural location it is an ideal place for people who are looking for a peaceful holiday, relaxation or retreat for their creative work. 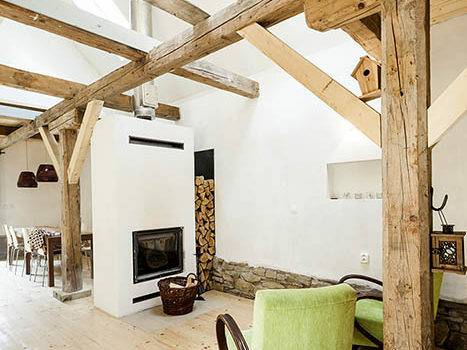 The whole house is for rent. 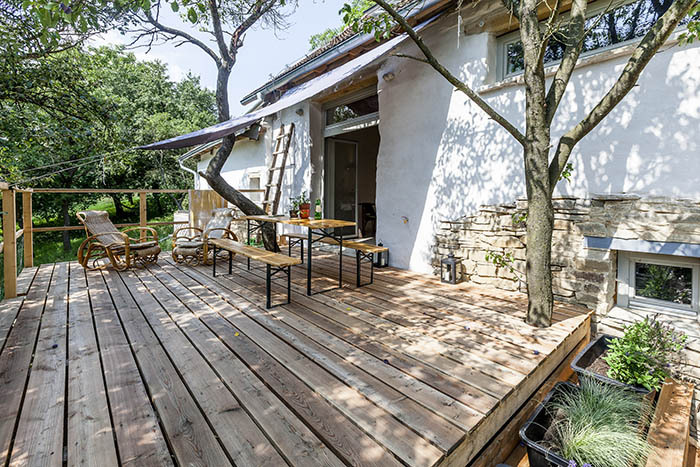 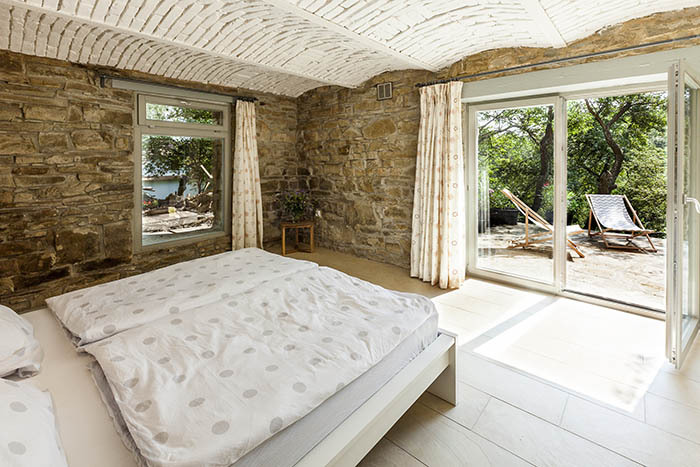 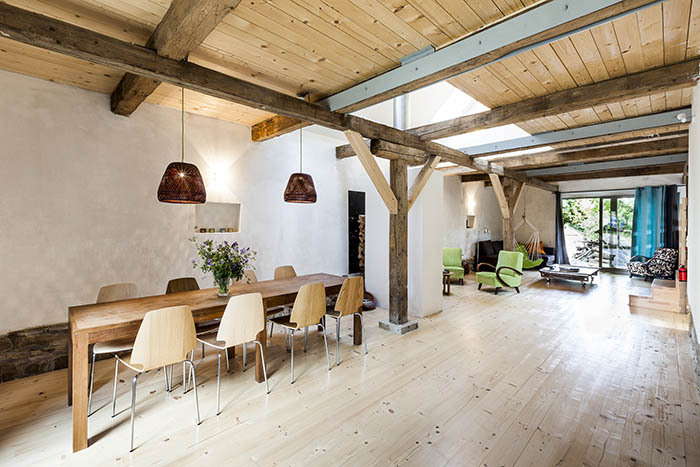 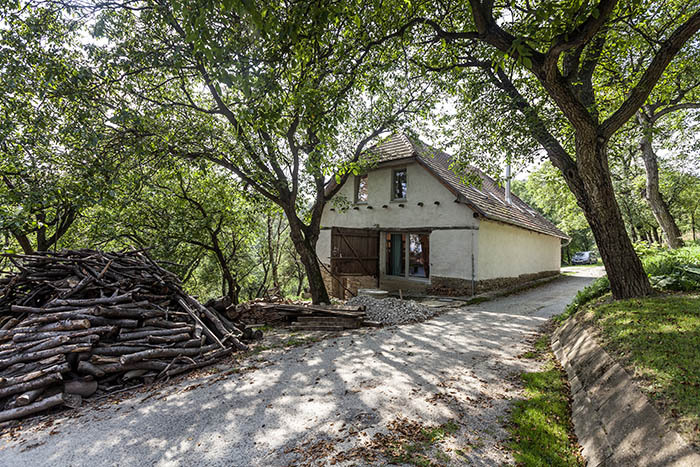 Architects Lubomir Okruhlica and Aimée de Back realized one of their dreams: to reuse and transform a big old barn into a holiday house. 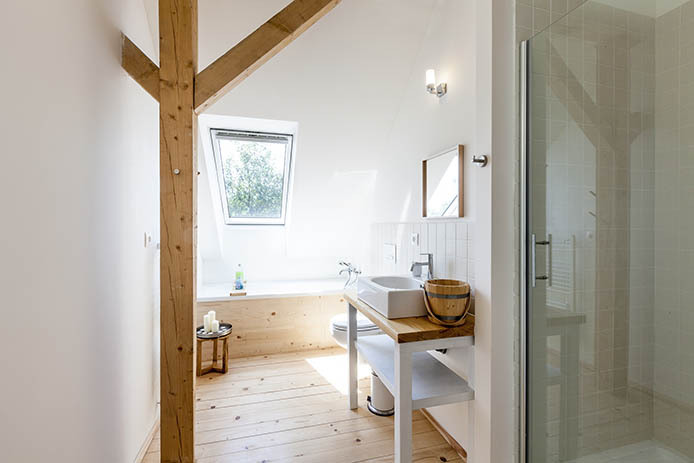 The idea was to keep the character and the original materials and provide comfortable accommodation. 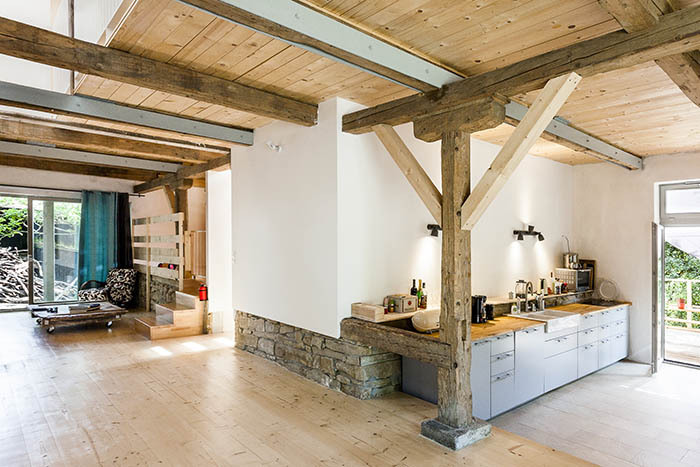 Thanks to a sloping hill the barn was shaped as a split level building. 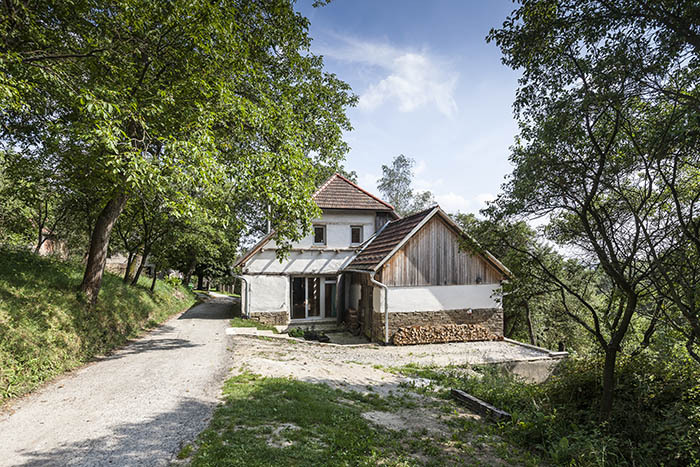 Thick adobe walls on a limestone foundation, wood for the construction and a hipped roof covered with tiles are typical for the agricultural architecture in this region. 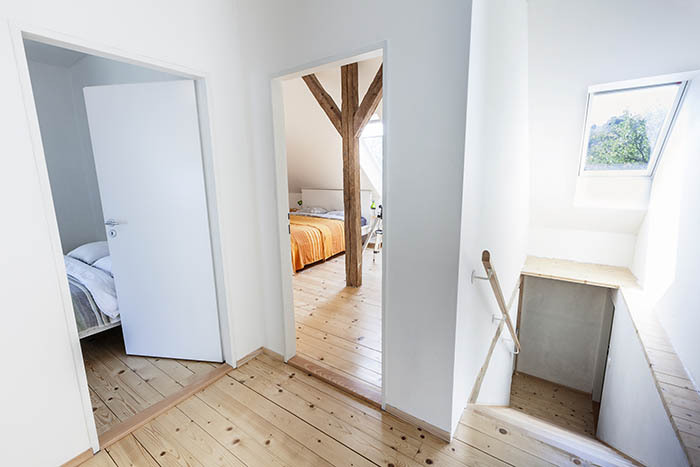 Most important changes are new openings in the south façade, interior stairs, partition walls in the attic and the addition of floor and roof insulation and installations for water, electricity and heating.